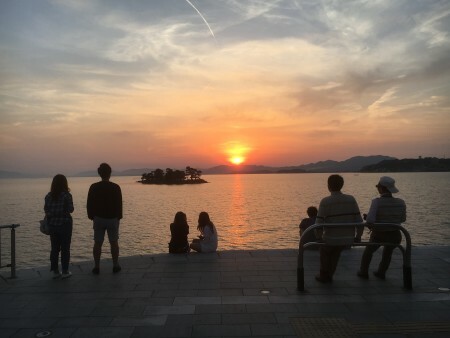 Almost 60 of us watched the Sunday sun setting over Lake Shinji from the designated Lake Shinji Sunset Spot – so popular a viewpoint that it even has its own underpass-with-elevator to give easy pedestrian access across the expressway. Japan is unashamed of its designated beauty spots, as we were reminded today in Kyoto, going to see 19th century prints by Hokusai and Hiroshige at the Ukiyoe Museum. 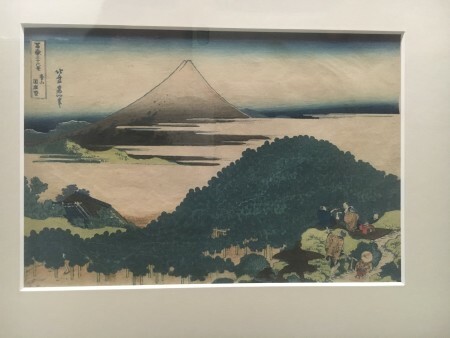 The ‘8 Sceneries of Ohmi’ and ’36 Sceneries of Mt Fuji’ are wonderful things, but show a concern with establishing a hierarchy of beautiful scenes not unlike the slightly earlier (mid-18th century) attempts by William Gilpin in England to codify ‘The Picturesque’. 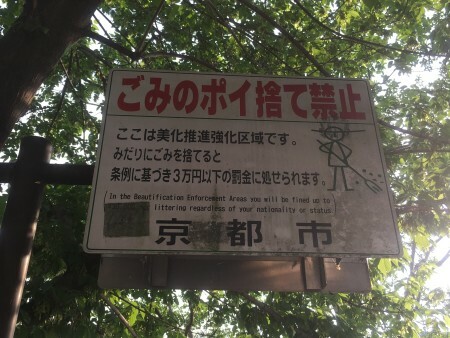 We returned to our accommodation along a verdant riverside walk free from rubbish, dogs or blemish, that turned out to be in a Beautification Enforcement Area, with drastic penalties for anyone littering, ‘regardless of nationality or status’.